Cable containment systems come in many different shapes and sizes it is important that your cable is contained within the correct system. 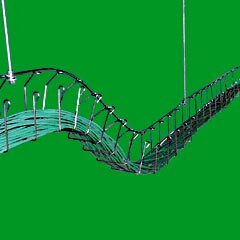 Every twist and turn of the cable will weaken the quality of the signal, our aim is to control and minimise this. As there are many different types of cables, there is a need for manufacturers to design a system to suit every type. With our trained staff and years of knowledge, we at Alder Networks Ltd will be able to design & install a system that will protect your investment with growth and expandability built in. Choosing the wrong cable containment will be costly and will have an effect on the cables performance reducing the communications capability, and the Network Infrastructures strength. It is worth spending that bit extra to get it right the first time. 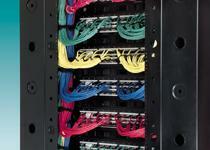 Cabinets & Racks require front, rear and side cable management. It is vital to comply with the cabling standards on warranted systems. Multi-compartment trunking, dado & skirting systems designed and installed to protect and serve all cable types i.e. Power, Voice & Data. Creates easier moves, adds, and changes. Many colours, sizes and styles available. 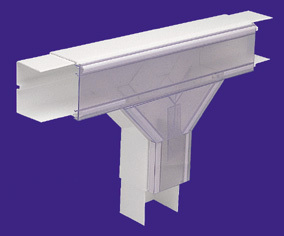 Cable Trays and Wire Baskets designed for a cheap safe secure path for your cables. New wood effect range now in stock!